Browncoats rise again with a new album of music inspired by Joss Whedon's cancelled Sci Fi Western hit series. What started as an EP for Browncoats in the Gunn Runners Club, grew into a full fledged CD for Firefly fans. Get the 19 page songbook packed with lyrics-only to all of my Firefly-inspired songs, including: Firefly Drinking Songs, As Long As I'm Flyin', Kilted For Her Pleasure, and What Color Is Your Dragon? 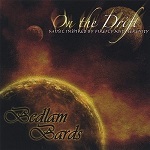 Plus lyrics from Bedlam Bards' Browncoat album, On the Drift. Sit back. Drink a pint of mudder's milk and sing along as Joss Whedon's Firefly and Serenity come alive! Browncoats carry their hearts on their sleeves. But a tote bag from Monahan's Mudder's Milk makes carryin' things a whole lot easier. You don't worry Earth's resources used up like they are in the Verse? You can keep that from happening with this fine tote bag from the Monahan's corporation. 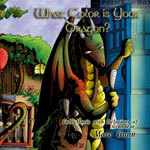 Marc Gunn joins forces with the quintessential Browncoat band, his good friends Bedlam Bards. Recorded live at science fiction conventions and shindigs, Firefly Drinking Songs presents music inspired by Firefly and Serenity–the perfect sound for hoisting a mug of mudder’s milk! Tracks: Monahan’s Mudder’s Milk, Somnabulant Intro, Hush, Now Little Citizen, Bring Me Home, Boys, Kaylee, O Susannah, Fruity Oaty Bars, Browncoats Keep Flyin’, It’s Good to Have Jayne on Your Side, A Drop of Reever Blood, Whiskey in the Jar, Libertas Sumptus Intro, Freedom Costs, Hero of Canton. 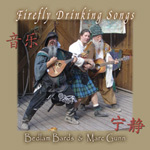 With a fervent accoustic style, the Bedlam Bards perform music inspired by Firefly and Serenity. This album is selling faster than ice planets, so order now while you still can. In one hand, a pint of Mudder's Milk, in the other a bottle of Romulan Ale. Sing and laugh along with this Celtic Geek musical gem. Drinking can be found throughout the universe from Earth to Praxis, from Canton to Skaro. Come on, you know Davros was drinking something when he came up with the Daleks. In fact, I think The Doctor was there drinking with him. 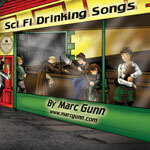 Sci Fi Drinking Songs are fun songs designed to make us laugh, cry, smile, and above all SING! Tracks: Don’t Go Drinking with Hobbits, A Rabbit for Halloween, Samwise Gamgee, The Virgin Diet (How to Have Fun Losing Weight), How Do You Tell a Woman You’re in Love with Her?, Pleasant Peasant Pheasant Plucking Song, She Said Her Name Was Saffron (Our Mrs. Reynolds), Monkeys Over Mongolia, Lusty Young Sith, For the Setting Sun, If I Were a Horse, The Last Chicken in Dublin, Pig’s Song, I Saved the Planet Earth, The Nazgul Song, Gollum Blues, My Father Was a Werewolf. 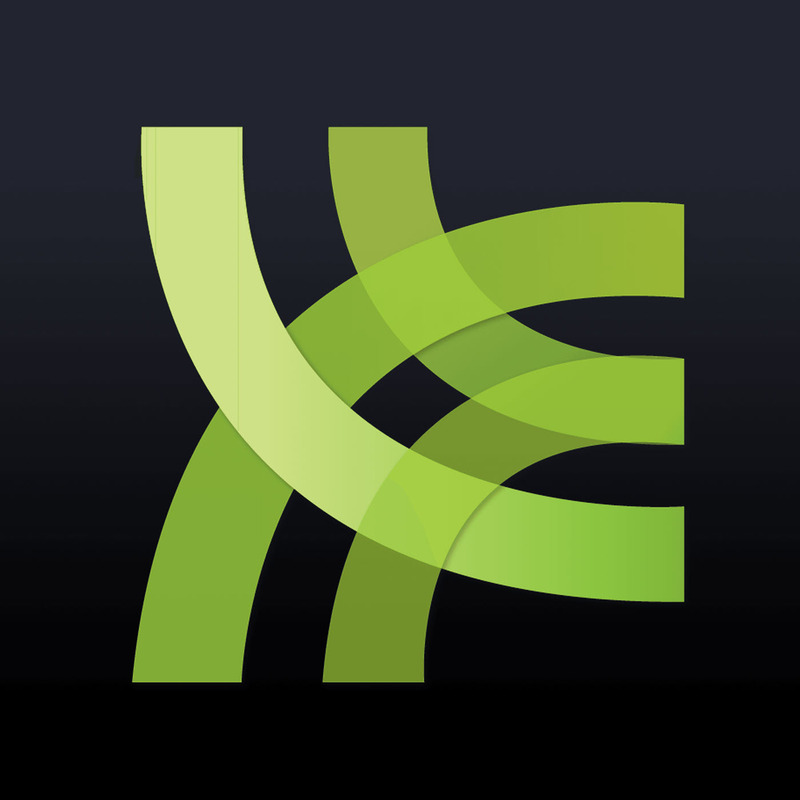 Give you 3 Free Gifts!